“Celebrating Bach” takes Garland a stage further as he adds the distinctive sound of his soprano saxophone to orchestral versions of concertos by J.S.Bach and Igor Stravinsky plus a fantasia and concerto of his own. 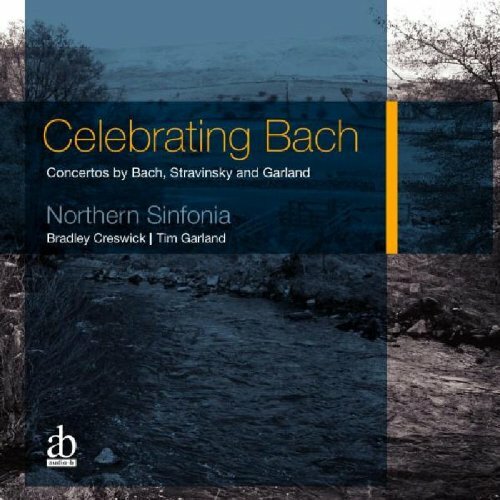 The twenty strong Northern Sinfonia is led by violinist Bradley Creswick and the performances were recorded live at separate performances at the Swaledale Festival in Yorkshire and at The Sage, Gateshead in 2008/9. The recordings, produced by Audio-B label owner Creese are of the highest technical quality and bring out the full beauty of the music.